Enduring the cold, the wet and the hot have stood in the way of this year's Farmers Market season. Of course we had squash, potatoes, broccoli and green tomatoes. The Market also had Saddler peaches and local honey. The tomatoes to ripen, sweet corn and okra will soon be making their way to the Saturday Market. 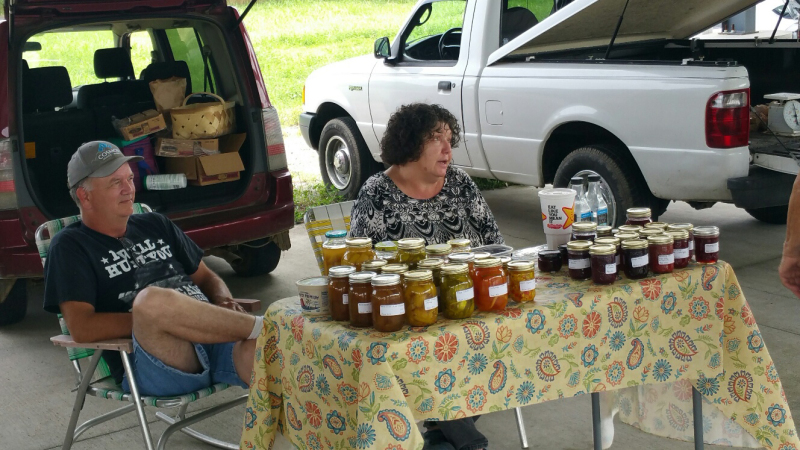 Best way to get your veggie fix is to drop by the Cannon County Farmers Market Pavilion, located at the Arts Center of Cannon County, on Saturday mornings. Local farmers are there bright and early beginning at 7 and the Market is open until noon or at times earlier if the veggies, canned items or homemade baked goods are gone.